Last week was the final week of not-training before starting my fall half marathon segment. I’m not training for a marathon this year. Initially, I had opted not to run CIM due to training for Boston in the spring (I can’t do two back-to-back marathons), but then I decided to forgo Boston for multiple reasons. 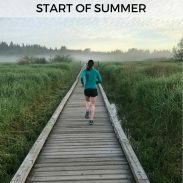 The idea of focusing on shorter distances appealed to me, so I signed up for a fall half marathon instead. I’ve got my eyes on the Indianapolis Monumental Marathon as my next marathon in 2019 or later. I’ll be honest, I’m quite glad I’m not training for a marathon currently. 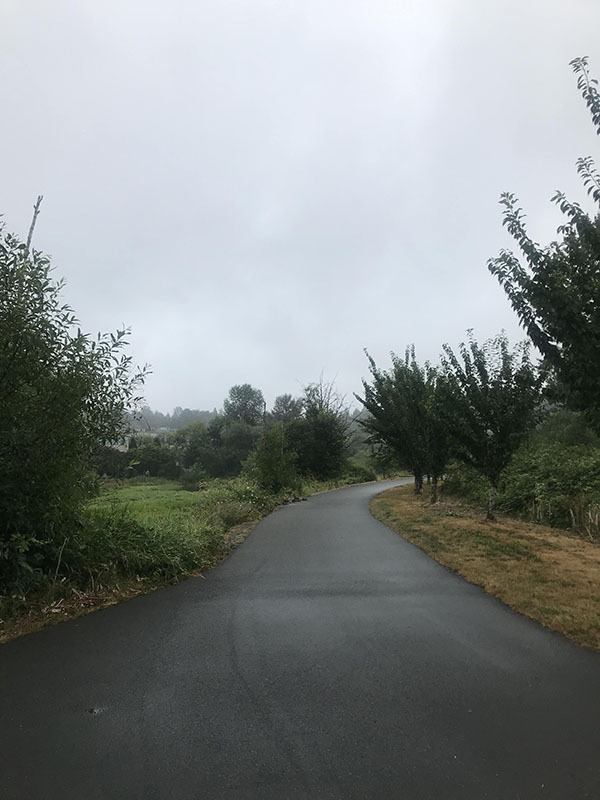 The weather this week started out with hotter than normal temperatures and then flipped to rainy and dreary – all resulting in humidity during the mornings when I run. Thankfully, by the weekend we were able to enjoy summer sunshine again. This run was a slow and sluggish run through the thick humidity. Realistically, it wasn’t that much of a slog, but that sensation of sweating buckets without the exhilaration of a hard workout is not very fun. For strength training, I mostly relied on kettlebells and TRX for my workout. I finally moved up the height of my box for box jumps, after a couple months of using the lowest level plyo box. Despite lingering heat, this run went well and I was able to finish the final mile at a 7:05 pace. 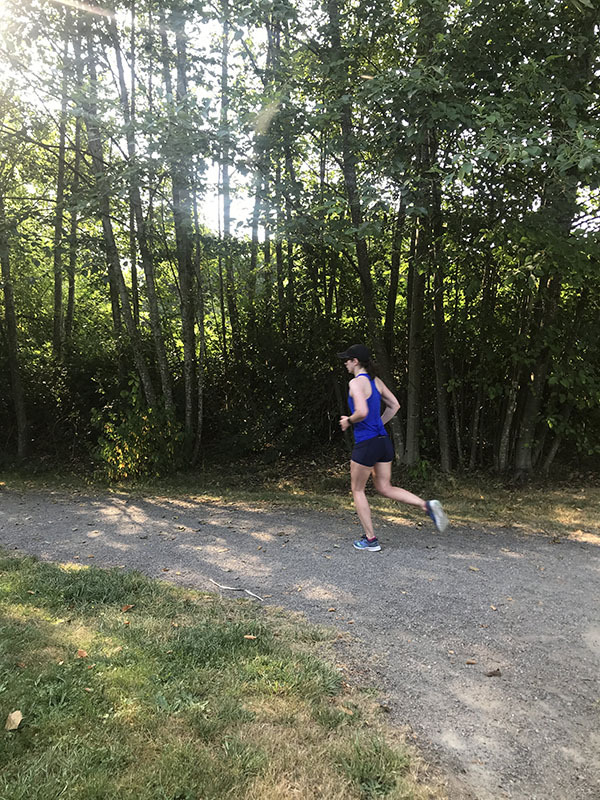 A fast finish run is always a fun transition into a training season and the pace boosted my confidence about the potential for this training cycle. I didn’t sleep well the past two nights, so I opted for a rest day on Wednesday. Since it was finally cool enough to run Ollie, so the Labraheeler and I ran six easy miles. After that, I took Charlie out for a mile run. Despite the non-stop drizzle of rain on this run, my legs felt fast and snappy. After a warm-up mile, I maintained right around an 8 minute pace and picked up the effort in the last two miles. We skipped our planned run to embark early for our weekend camping trip. We had plans to camp along the coast again, at the same place we stayed back in June. Our plans were foiled, however. We left the Seattle area early, drove 3.5 hours to the coast, arrived at the campground shortly after check-out time, and could not find a single open spot. We then drove around the remainder of the Olympic Peninsula – eventually circumnavigating it – and searched nearly 10 campgrounds, all to no avail. By 3 PM, we gave up and headed home on the ferry. Ollie loves ferry rides, and at least we got to enjoy the scenery of the Peninsula! 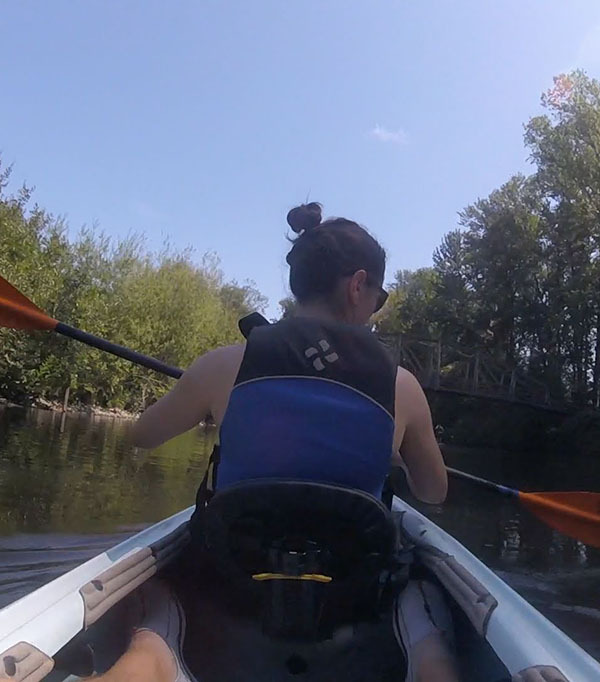 With a beautiful, sunny day, we decided to kayak again. Ryan and I spent an hour kayaking up and down the Sammamish River. We also finally watched A Quiet Place, which probably kept my heart rate elevated for the better part of 90 minutes. 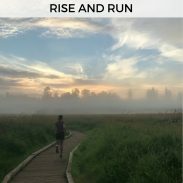 Are you training for any fall races? Humid runs are the story of my life lately! We haven’t had a break from the humidity in many weeks. Thats too bad that you couldn’t find a spot at the campground! Looks like a great week of workouts. Thank you! It’s been such a humid summer, it’s ridiculous! I know the feeling of enjoying not training for a marathon! I’m toying with a fall one but will definitely take the spring off. I typically do not do two a year and we’ll see if my body is up for it. Great work feeling good on those faster portions of your run! Thank you! It’s fun to focus on shorter distances – and I really hope then I can make a big jump in my marathon times when I do run my next one! Well, wow–I have to say I am surprised you’re passing on Boston! I’m sure you have good reasons, but wow! I am done with marathons but I do have the one regret of not being able to run Boston. I think you’ll enjoy Indy, tho, I’ve heard great things about it. The humidity has really made running a chore, hasn’t it? I’m sure I’ll run it one year (I hope to qualify again) but it’s expensive to go all the way from the West Coast to Boston. 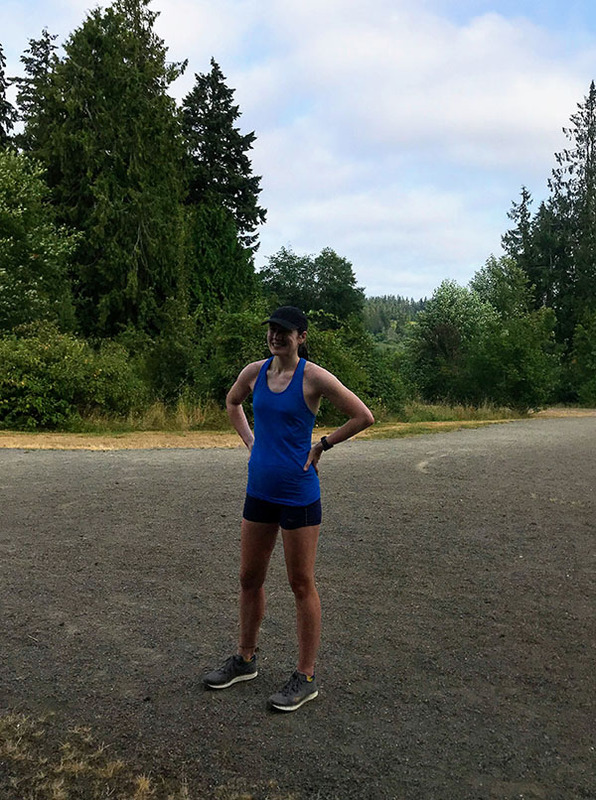 And honestly, I don’t know if I could train for a marathon through PNW winters – the non-stop rain and lack of sunshine is honestly harder than I remember the snow of the Midwest being. Can you normally find a walk-up campsite on a Saturday? That’s basically impossible here! I always make a reservation online, even though the “convenience fee” is absurd. Kayaking is a good substitute for camping though. In June at least, we can – unfortunately, many of the campgrounds are walk-in only, no reservations. The ones that do take reservations fill up months in advance! I know it must have been disappointing to not be able to find a camping spot! (I know the dogs were logging forward to it too.) However, kayaking the next day sounds like a great substitution in plans. I hope the humidity breaks for you soon. Thanks for linking! Thank you for hosting! 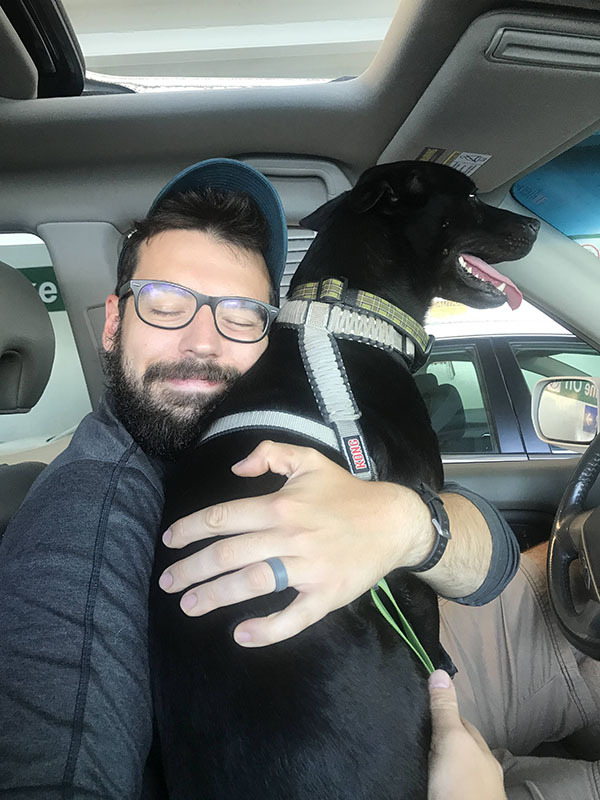 It was disappointing – and the dogs got so excited when we pulled into each campground. 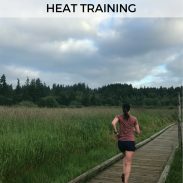 “that sensation of sweating buckets without the exhilaration of a hard workout is not very fun” – this. I also hate when it’s so humid that your sweat can’t evaporate. And when you get home and want a shower but you can’t stop sweating. Ewwww. Love your dog on the ferry, how cute is that? I’m still vaguely considering knocking out another DIY marathon in October. There’s a bus route in Birmingham right round the city about 4 miles out of the centre that’s around 26 miles. It would be fun to do (I’ve done sectors of it in training and used it for 20 miles of my previous DIY mara with an out and back) and I have put in for the London mara ballot so I can use it as a springboard if I get in. Hm. Still wondering, though. A DIY marathon sounds fun – I hope it goes well if you do it! it was fun when I did one in the spring because I’d missed the Manchester marathon through illness, although hard (mainly because I’d been ill) so I know it’s something I can do, and going around a circular bus route has to be fun! humidity is the worst! I’m sort of ready for fall just so it will cool down although I will miss the early morning sunlight! I am so ready for fall also, especially if we get a proper fall with crisp temperatures this year! Last year seemed to go straight from summer to rain. That’s so disappointing to not find any available campsites! I love camping and would have probably cried. LOL You definitely made the best of it, though. And yes, I’m over this humidity. I know very little about Washington State, except for that whole “rainy season” thing, but I didn’t expect that you would have much humidity. I don’t know why but there you go. And, as someone with SADs, I cannot even imagine training for a marathon during that season. I’m not sure I blame you for foregoing Boston. I’ve never run it – considered trying to qualify a few times and each time, I ended up injured. It’s not my destiny and that’s okay. Not all of Washington is so humid – the suburbs of Seattle where I live have lots of wetlands, which make it quite humid. The idea of training through all that rain was exactly why I decided to forgo Boston. Honestly, it wears one down to run through so much rain – I find myself missing Midwest winters and all the snow, because at least there’s some sunshine there. WHAT you’re not doing Boston?!? I’m really surprised by that – you worked so hard to requalify and seemed excited to be there in 2019! I can definitely understand the cost concerns though – Boston is an expensive city even without the marathon costs. The grass always seems greener on the other side, doesn’t it? I’d much prefer the nonstop rain in the PNW to our Midwest winters. At least you don’t have to worry about key workouts (or entire weeks!) getting ruined by icy sidewalks, freak blizzards or -10 degree temps! I much prefer cold weather training but the unpredictability of winter weather is tough. Honestly, winter is a big part of it also – at this point, I can’t imagine training through another winter with non-stop rain, icy mornings, and barely any sunshine! It’s more draining than training through a Midwest winter because of the lack of sunshine (last year, we had three days of sunshine from October to March). I do agree that the Midwest winters are rough to train through! Honestly, I’ve thought of both areas in regards to training for Boston, and it just is that an April marathon is difficult to train for! It’s also sooooo expensive to go from the West Coast that we might as well fly to Europe!